The Icon™ Laser is a state-of-the-art aesthetic laser treatment system that enables clients to receive cosmetic treatments at their convenience. The team at Eterna Vein & Medical Aesthetics in Puyallup, Washington, uses the Icon Laser to rejuvenate the client’s complexion and improve the appearance of a range of skin blemishes, including scars and wrinkles. Call the clinic today to arrange a free consultation, or use the online booking facility to make an appointment. The Icon Laser is a single machine that replaces all the individual devices formerly used to treat separate conditions. The Icon laser is fully adjustable, so your practitioner can use specific wavelengths to target different tissue types in your skin, such as blood, water, or melanin. As a result, the Icon Laser can be used for a variety of aesthetic treatments and skin types, including IPL and skin resurfacing. As the Icon Laser performs multiple functions, clients can undergo several procedures simultaneously, saving time, avoiding inconvenience, and producing faster results. Skintel which allows for accurate assessment of skin type and treatment parameters. These patented technologies make the Icon Laser one of the safest and most effective ways to treat aesthetic skin problems. What conditions can the Icon Laser treat? The Icon Laser is a non-ablative treatment method, which means it doesn’t remove the surface layers of skin like an ablative procedure would. As a result, Icon Laser treatment is gentler and requires no client downtime. How does the Icon Laser work? The Icon Laser treats cosmetic skin problems by sending pulsed beams of concentrated light energy onto your face, heating the tissues underneath your skin. The heat stimulates these tissues to increase natural collagen production, and as the collagen builds up you’ll notice the rejuvenating effect on your appearance. Is the Icon Laser safe? The Icon Laser is approved for cosmetic skin procedures by the FDA. The FDA regulations ensure health products or medical devices are safe for the general population, and extensive testing shows the Icon Laser is safe when used correctly. 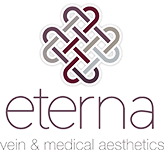 The team at Eterna Vein & Medical Aesthetics is trained in the safe and correct use of lasers for aesthetic procedures, and team members are certified experts in using the Icon Laser. To discuss the Icon Laser and other treatment options available, call the clinic today or book an appointment online.